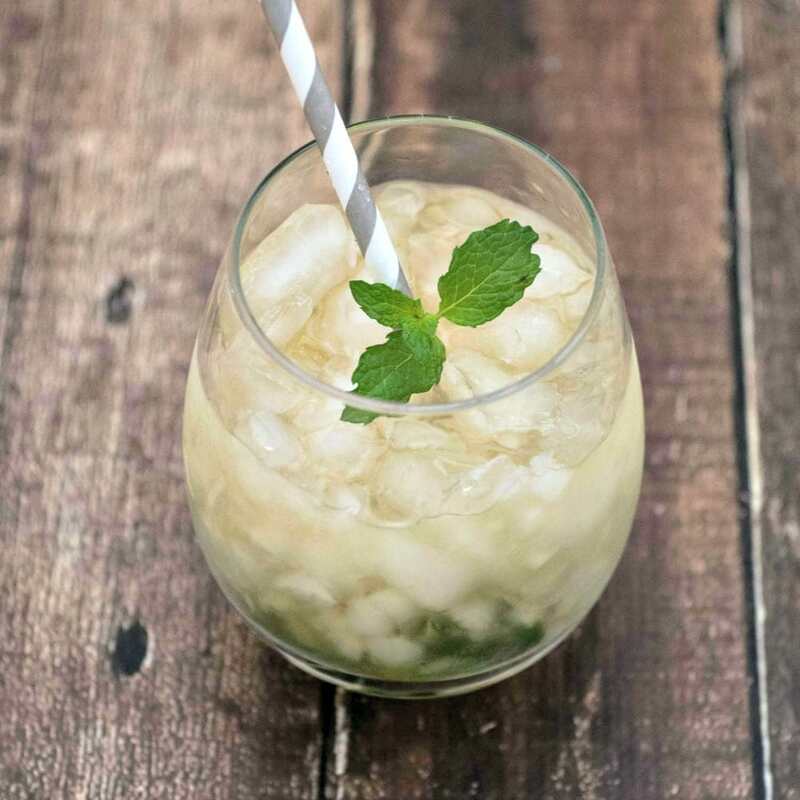 With spring in the air and Kentucky Derby day approaching it is the perfect time for this refreshing Ginger Mint Julep Recipe. According to estimates about 120,000 Mint Juleps are sold at Churchill Downs over Kentucky Derby weekend. That is quite an impressive number! 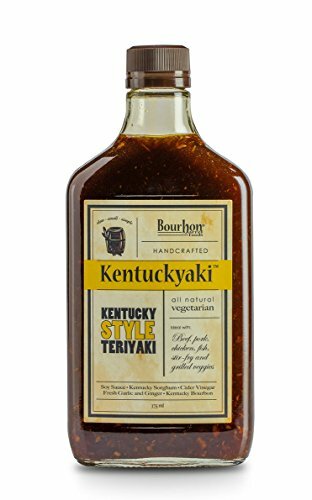 I have never been able to attend the Kentucky Derby, but this drink will make you feel like you are part of the action. 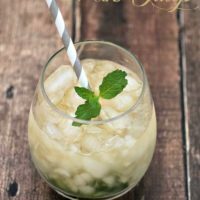 It takes the traditional Mint Julep Recipe and adds a little bit of ginger to liven up the flavor. 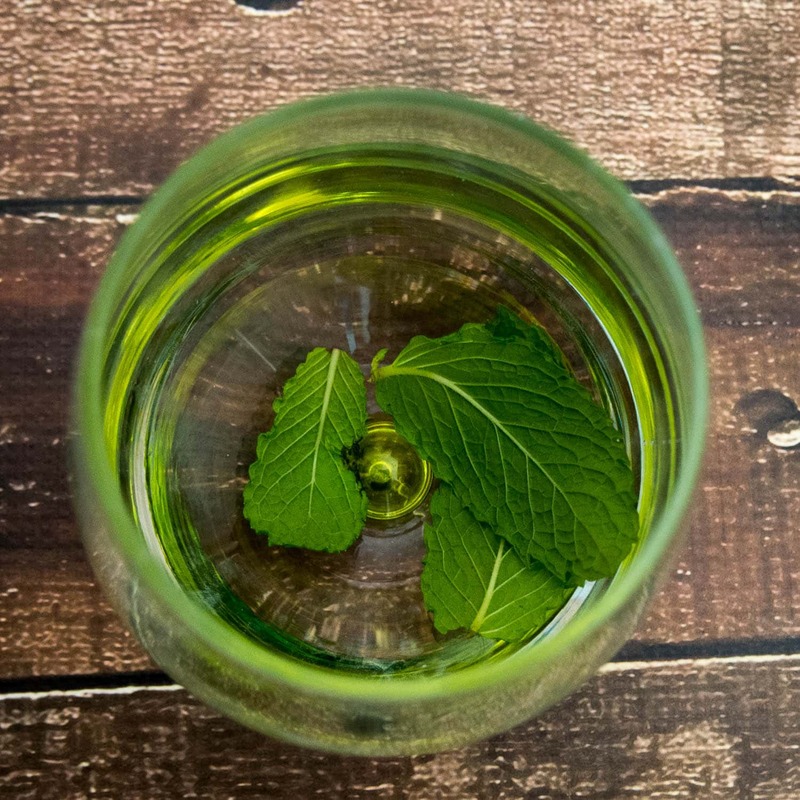 The ginger and mint combine together for a refreshing spring cocktail. I added the ginger flavor adding a little bit of ginger root to the sugar syrup that I made. This recipe makes enough for 8 mint juleps, but if you aren’t serving that many you can save the sugar syrup in the refrigerator for using another day. 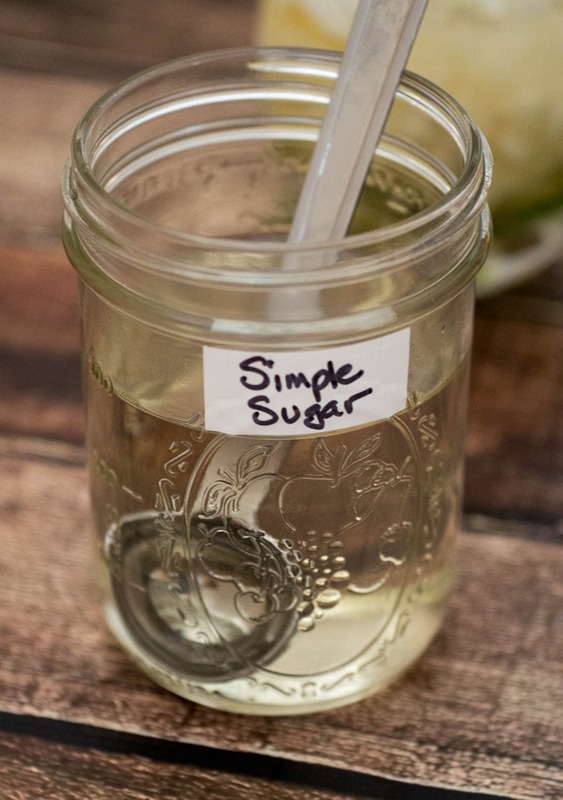 Sugar Syrup is easy to make since it is just taking water and sugar and boiling it to dissolve all the sugar and super saturate the water with sugar. Adding a small piece of peeled ginger with the sugar gives the syrup a spicy gingery taste. You can buy Sugar Syrup at many stores, but it only takes about five minutes to make so it is almost no effort at all. 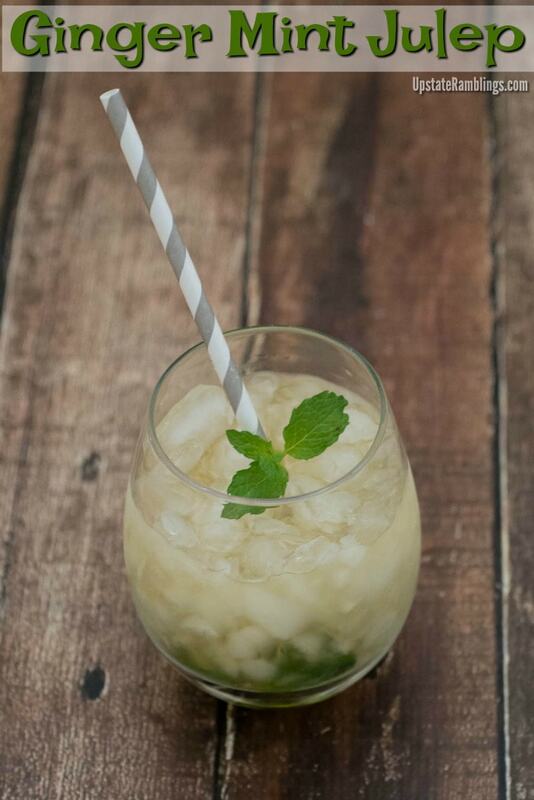 The Ginger Mint Julep is made by putting a little mint in a glass and muddling it with sugar syrup. 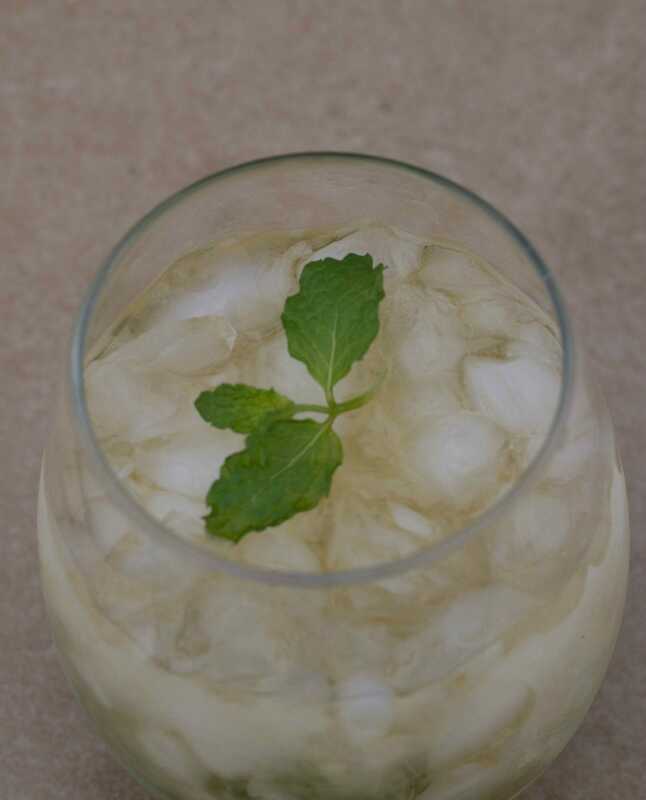 Then you top the glass off with Bourbon and ice and a little bit more mint to garnish. Peel the ginger root and put it in a saucepan with the water and sugar. Boil for 5 minutes until the sugar dissolves. Let the syrup cool, and then strain it to remove the ginger root. To make the Juleps put 3 mint sprigs in the bottom of a glass. Add 2 T of ginger sugar syrup and muddle the mixture. Top with 1 c. of ice and 2 T of Bourbon. Mix and serve. I’m a big fan of both mint and ginger. Definitely going to give this recipe a try! I have never had one, but would love to give it a try! Sounds delicious! What a refreshing drink!! Thanks for sharing with Friday Favorites, we love having you join us! Loved watching the Derby yesterday! 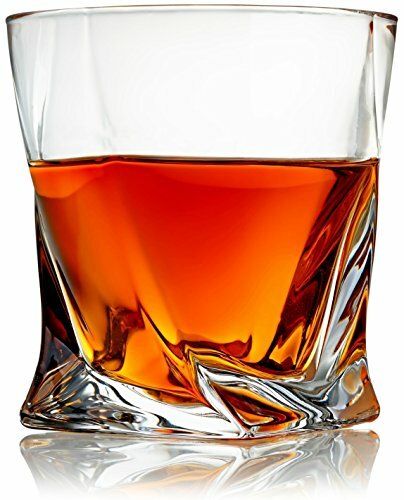 I was not in a place where I could whip up this cocktail so I will have to save it for the future. I love the whole ambiance of the race, the outfits, the horses, the jockey’s silks, and the HATS! Love the hats! Thanks for sharing, it looks delish! Yum!! 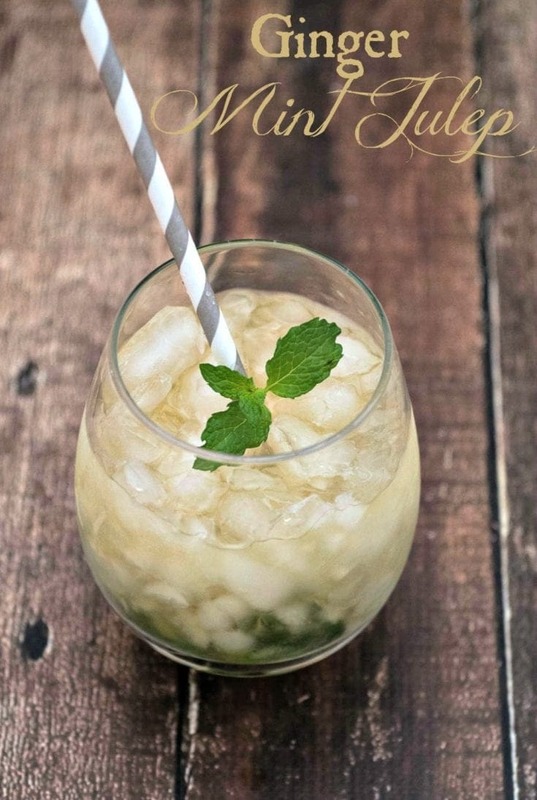 I don’t think I’ve ever had a mint julep before, but this looks really great! Thanks so much for sharing your recipe with us at the Merry Monday link party. Hope to see you again next week! I would have never thought of ginger! How clever! What a refreshing beverage that we will love! Hope you are having a great week and thanks so much for sharing with Full Plate Thursday. What a great and refreshing drink for the hot summer months. I always have ginger on hand so this is a must try drink. 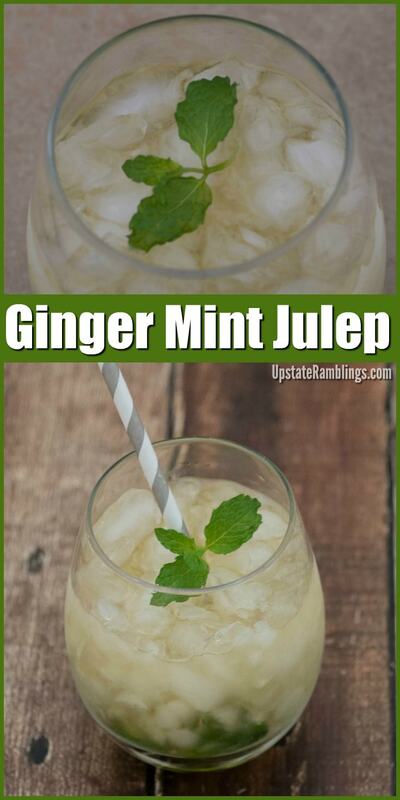 Ginger… what a cool twist to a mint julep! Please come share your blog posts over at the Home Matters Linky Party! We\’d love to have you for a visit. The Door is OPEN.